Classic. Rebalance. Reawaken. Rethink. Rekindle. Redefine. Rediscover. Restart. Regain. 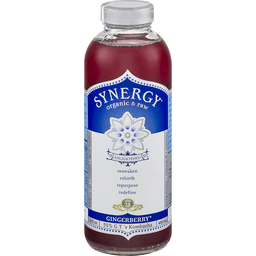 Electrolytes + polyphenols + enzymes + Probiotics. Reimagine. Relive. Repurpose. Reinvent. Reclaim. Recapture. Rebirth. Renew. 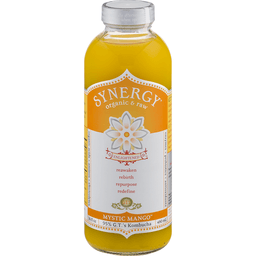 Mission in a bottle: in 1995 I started making organic raw Kombucha based on the belief that it could touch people's lives. 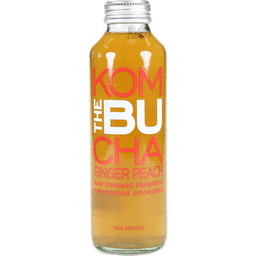 For me Kombucha represented everything that food should be: raw, unadulterated & crafted by nature. Today that belief is stronger than ever. That's why I am honored and humbled to be able to share this gift with you. - GT, GT Dave, Founder. Living food for the living body. USDA organic. Non GMO Project verified. nongmoproject.org. Rejoice! This is a live food. We believe good things come from small beginnings. 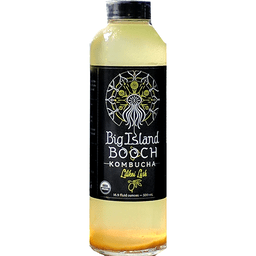 That's why we make our Kombucha in the same small batches I used from the start, in my mother's kitchen. Our batches are small enough to hug. Which we do, because love is our no. 1 ingredient. Certified organic by Organic Certifiers, Inc. Gluten-free. Vegan. Non-GMO. Contact us: toll-free 877-735-8423. 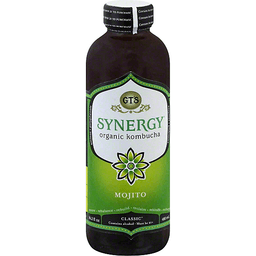 Website: www.drinkgts.com. 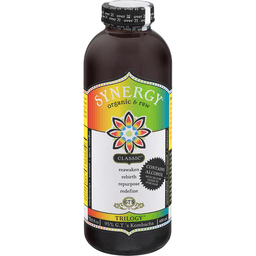 Kombucha is a cultured tea that is low in alcohol, however federal law requires a warning statement on any product that may contain more than 0.5% of alcohol per volume. Organic & raw. Reawaken. Rebirth. Repurpose. Redfine. 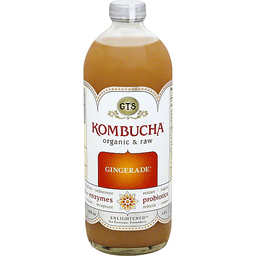 95% GT's kombucha. This product is considered a beer and contains a natural effervescence. USDA organic. This Is a Raw Food: Strands of the culture may appear. These are natural, normal & only occur in a raw kombucha. Kombucha is a cultured tea that is low in alcohol however federal law requires a warning statement on any product that may contain more than 0.5% of alcohol per volume. 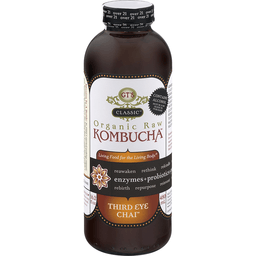 Mission in a Bottle: In 1995 I started making organic raw kombucha based on the belief that it could touch people's lives. 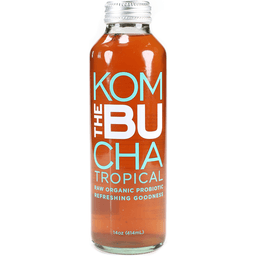 For me, kombucha represented everything that food should be: raw, unadulterated, and crafted by nature. Today that belief is stronger than ever. That's why I am honored and humbled to be able to share this gift with you. - GT Dave, Founder. Enzymes + probiotics + polyphenols. 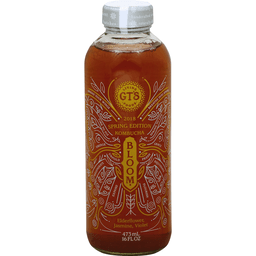 Contact us: toll free (877) 735-8423. www.GTSkombucha.com. 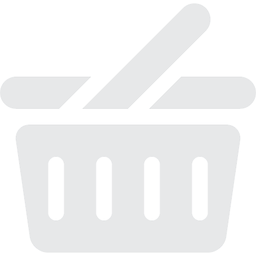 Certified organic by Organic Certifiers, Inc. Renew. Rebalance. Rebuild. Reclaim. Rekindle. Recharge. Classic. Aminos + polyphenols. 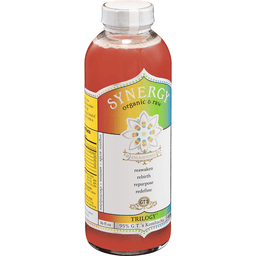 Enzymes + probiotics. 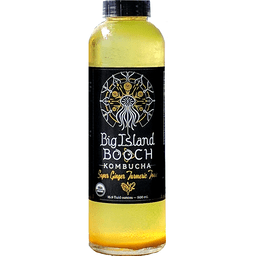 Mission in a Bottle: in 1995 I started making organic raw Kombucha based on the belief that it could touch people's lives. 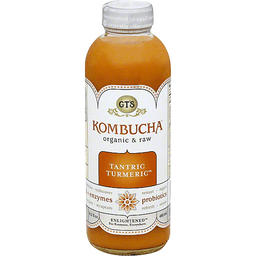 For me Kombucha represented everything that food should be: raw, unadulterated & crafted by nature. Today that belief is stronger than ever. That's why I am honored and humbled to be able to share this gift with you. - GT, GT Dave, Founder. Living food for the living body. USDA Organic. Non GMO Project verified. nongmoproject.org. Rejoice! This is a live food. We believe good things come from small beginnings. 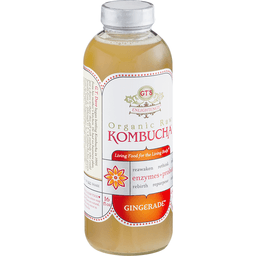 That's why we make our Kombucha in the same small batches I used from the start, in my mother's kitchen. Our batches are small enough to hug. Which we do, because love is our no. 1 ingredient. Certified organic by Organic Certifiers, Inc. Gluten-free. Vegan. Non-GMO. Contact Us: Toll-Free: 877.735.8423. Website: www.drinkgts.com. 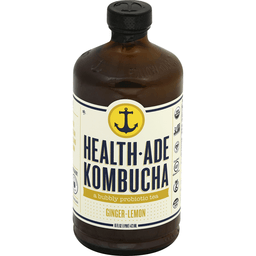 Kombucha is a cultured tea that is low in alcohol, however federal law requires a warning statement on any product that may contain more than 0.5% of alcohol per volume. Handcrafted in Sunny Southern California. Renew. Rebalance. Rebuild. Reclaim. Rekindle. Recharge. Classic. Aminos + polyphenols. Enzymes + probiotics. 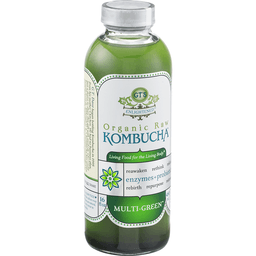 Mission in a bottle: in 1995 I started making organic raw Kombucha based on the belief that it could touch people's lives. 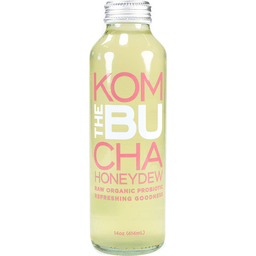 For me Kombucha represented everything that food should be: raw, unadulterated & crafted by nature. Today that belief is stronger than ever. That's why I am honored and humbled to be able to share this gift with you. - GT, GT Dave, Founder. Living food for the living body. USDA organic. Non GMO Project verified. nongmoproject.org. Rejoice! This is a live food. We believe good things come from small beginnings. 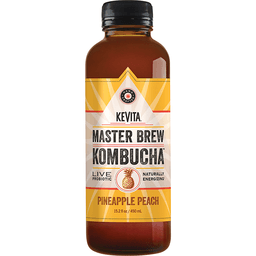 That's why we make our Kombucha in the same small batches I used from the start, in my mother's kitchen. Our batches are small enough to hug. Which we do, because love is our no. 1 ingredient. Certified organic by Organic Certifiers, Inc. Gluten-free. Vegan. Non-GMO. Contact us: toll-free 877-735-8423. Website: www.drinkgts.com. 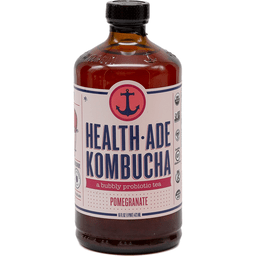 Kombucha is a cultured tea that is low in alcohol, however federal law requires a warning statement on any product that may contain more than 0.5% of alcohol per volume. Organic & raw. Reawaken. Rebirth. Repurpose. Redfine. 95% GT's kombucha. Gluten-free. Vegan. Non-GMO. This product is considered a beer and contains a natural effervescence. USDA organic. 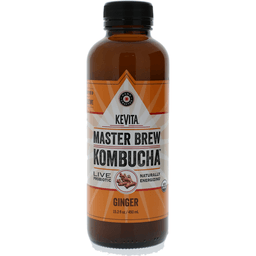 Kombucha is a cultured tea that is low in alcohol however federal law requires a warning statement on any product that may contain more than 0.5% of alcohol per volume. This Is a Raw Food: Strands of the culture may appear. These are natural, normal & only occur in a raw kombucha. 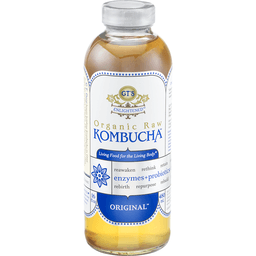 Mission in a Bottle: In 1995 I started making organic raw kombucha based on the belief that it could touch people's lives. 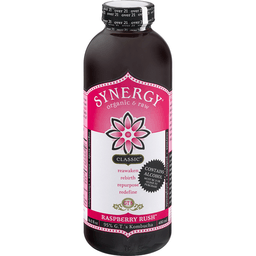 For me, kombucha represented everything that food should be: raw, unadulterated, and crafted by nature. Today that belief is stronger than ever. That's why I am honored and humbled to be able to share this gift with you. - GT Dave, Founder. 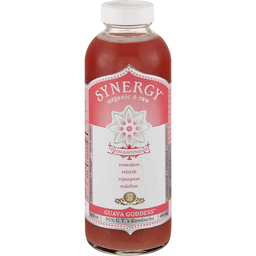 Enzymes + probiotics + polyphenols. 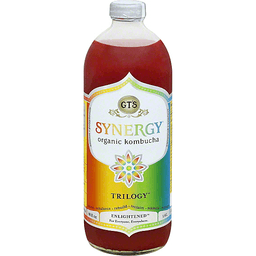 Contact us: toll free (877) 735-8423. www.GTSkombucha.com. Certified organic by Organic Certifiers, Inc.